Do I Have To Be Behind On My Debts Before I File For Bankruptcy? No, you do not. In fact, you can be completely current on all bills before filing for bankruptcy. Nor is there any limitation as to how much debt you carrying before deciding to file. In other words, there is no set amount of debt that you must first accumulate before filing a petition. To be sure, most people who file a Missouri bankruptcy are far behind on their debts, sometimes many months behind. And frequently, those debts will have been passed off to a collection agency, who in turn will call you several times a day and threaten to sue. It is at this point in the game that you will often see the creditor filing suit against you, which can lead to wage garnishments, bank levies, and the placement of a lien against your property. It could be argued, therefore, that filing a bankruptcy before it reaches this point is more preferable. Taking care of the debt before it gets completely out of control can prevent (or at least greatly reduce) a lot of headaches, emotional burden, and unnecessary expenditures to the creditors (because most of what you end up paying in monthly minimums to your creditors goes towards interest as opposed to principal). This route puts you on a path towards financial rebuilding much quicker by getting you the fresh start / clean slate that the government provides. Whether it is a St. Louis Chapter 7 bankruptcy or a St. Louis Chapter 13 bankruptcy, your unsecured creditors (such as credit cards, medical bills, payday loans, insufficient funds on a bank account, etc.) are taken care of forever. 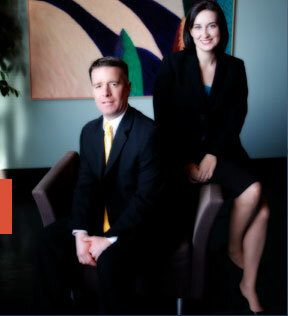 The St. Louis bankruptcy lawyers at Brinkman & Alter, LLC have been taking care of people and their debts for over ten years. We have the necessary skill, knowledge, and experience necessary to help guide you through the entire process. All phone conversations and office consultations are free of charge.